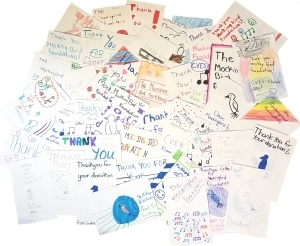 After receiving a surprise city/tour grant from the Mockingbird Foundtion in October, students in the Creek View Elementary music program sent scores of wonderful, creative, inspiring thank you notes. We don’t have room to post them all here, but wanted to share at least one image. 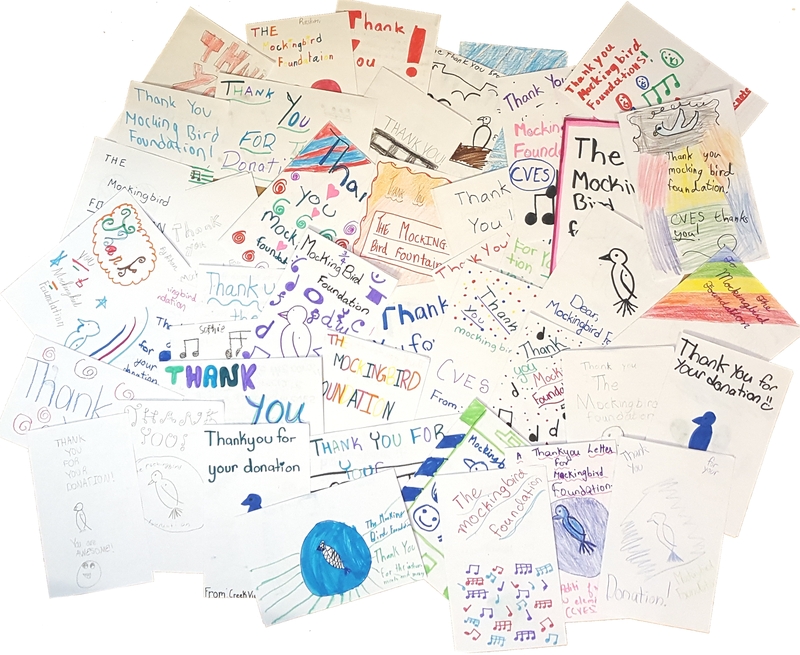 We hope it helps you see what grants support, where your donations go, and the love that comes back to Phish.